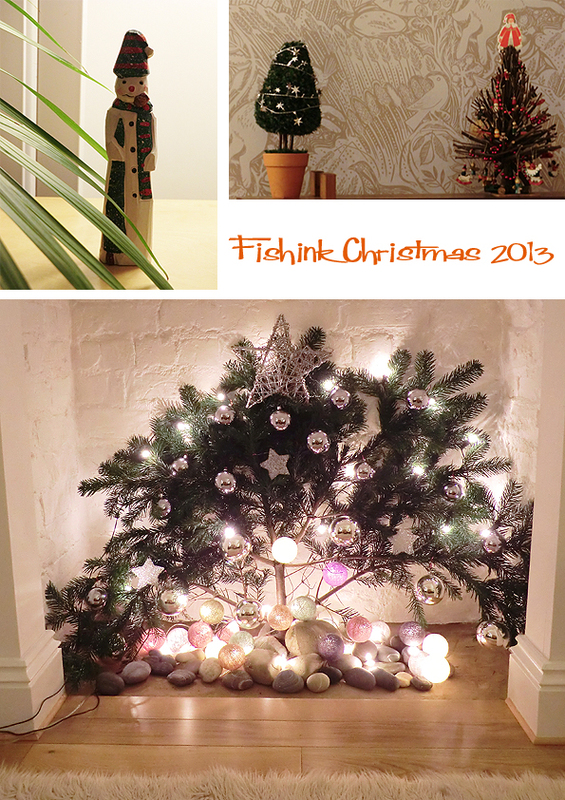 Welcome to my living room and this year’s Fishink Christmas decoration. We decided to have a low-key christmas tree this year, and went for the tree branch ‘flat tree’ idea, which I think works very well and lights up the fireplace quite magically. 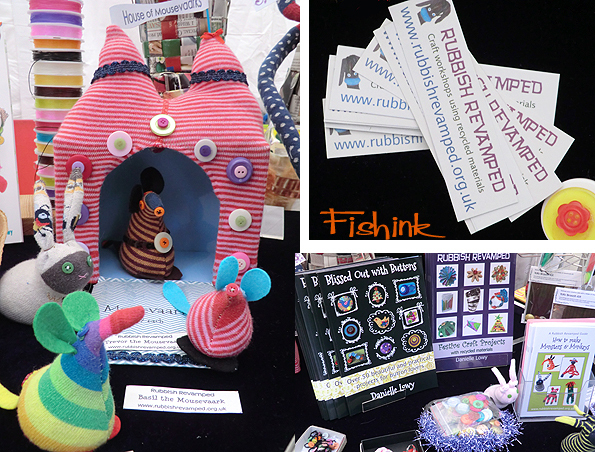 It’s been a busy old weekend and it started with a visit to the latest of the Chorlton Art Market events. Recently, the area in Chorlton precinct where the market takes place, has been totally revamped. Much work has gone into the project by local organiser Alice deVille and the team behind CAM, and they have transformed a sad old neglected part of the shopping centre into a brighter, fresher space with wooden benches and a tasteful ‘shop local’ mural. Here’s a couple of saturdays stalls that caught my eye. 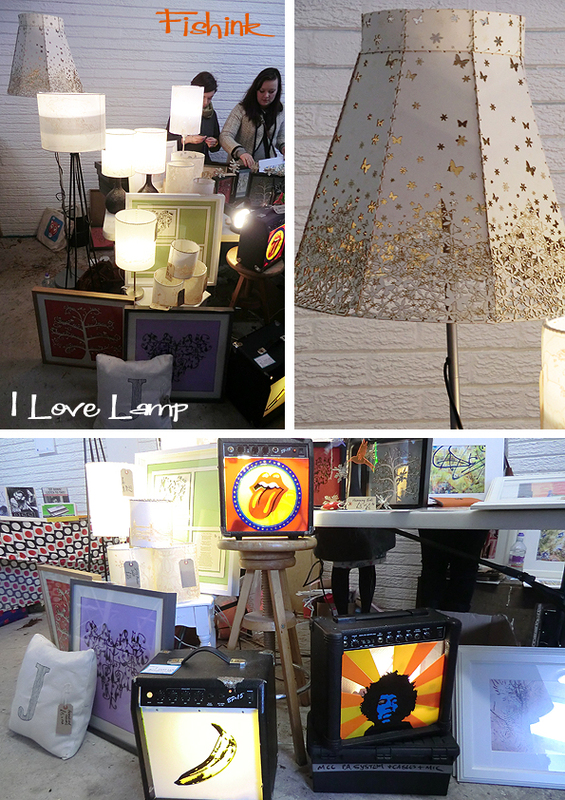 These lamps and amps from I Love Lamp Gifts, would certainly light up any dull interior. And some beautifully illustrated lino prints from local talented artist Jo Wright who runs Bear Print Design. I couldn’t resist this fox coaster, he looked all cozy and curled up for the winter. 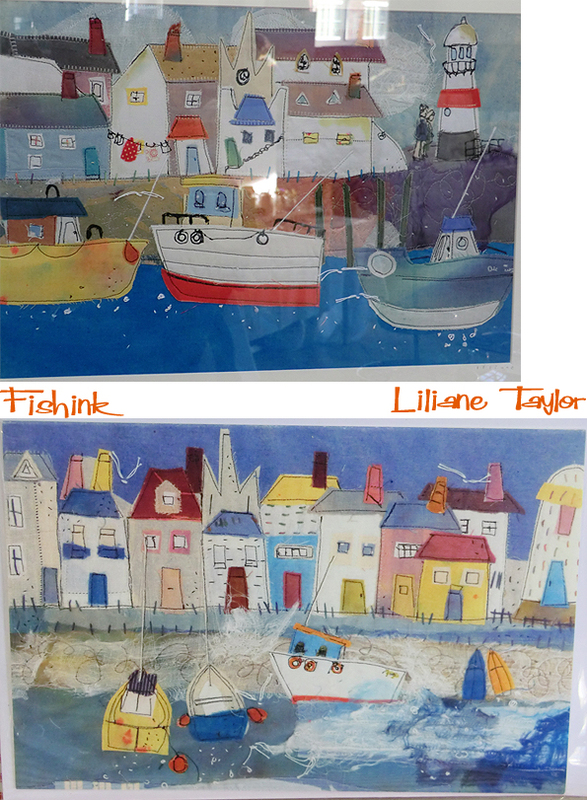 Jo makes some wonderful prints, please check out her site and see more for yourself. 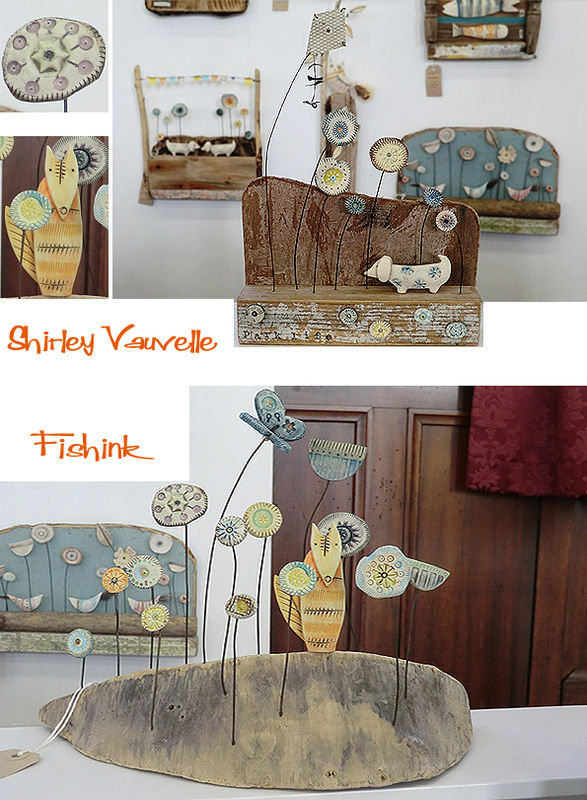 I liked everything made by mixed media artist Shirley Vauvelle, such quirky creations and beautifully presented. These drift wood and ceramic story blocks looked amazing. Loving the textures and colours too. 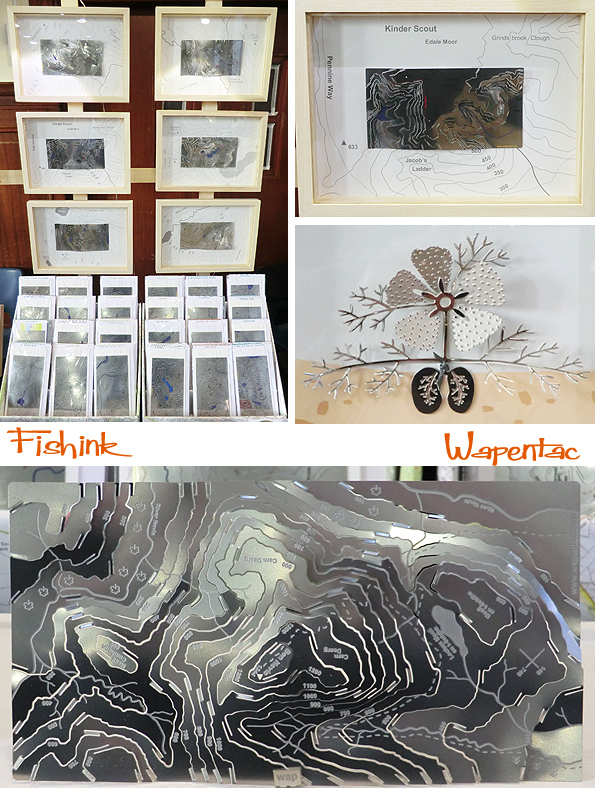 These creative 3-D stainless steel contoured maps, from walker and mapping enthusiast Wapentac. 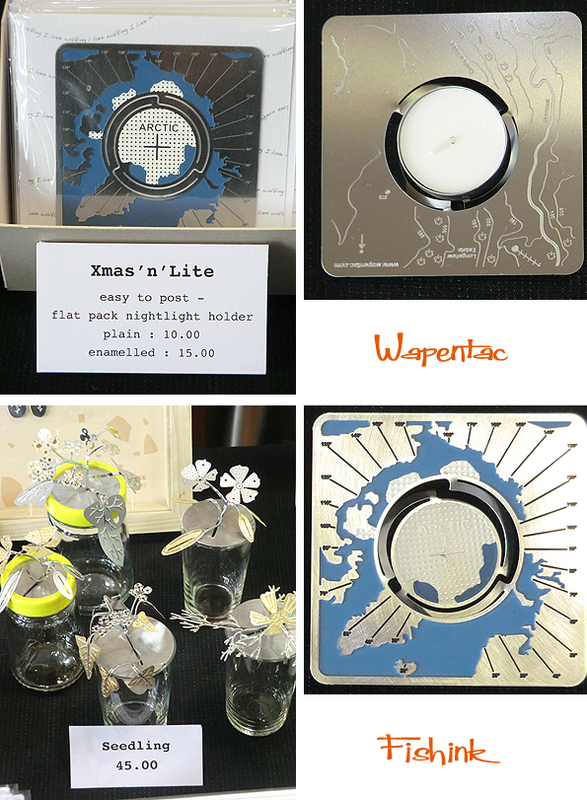 Also framed versions, nightlight holders and botanical illustrations too, something for everyone. 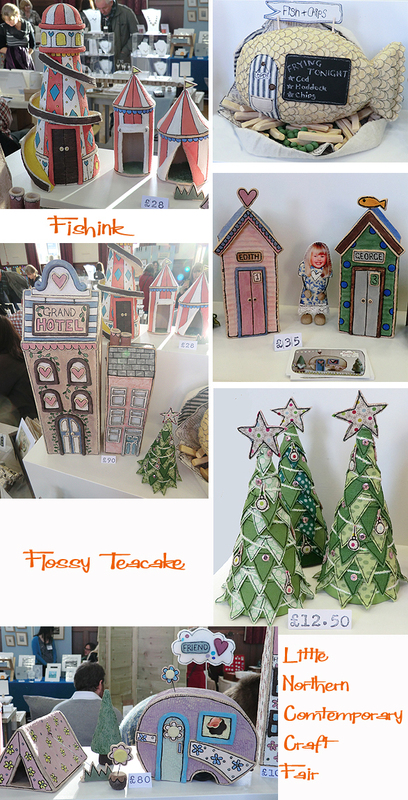 Very wacky ceramics from Flossy Tea Cake. Their fish and chip shop made me smile. 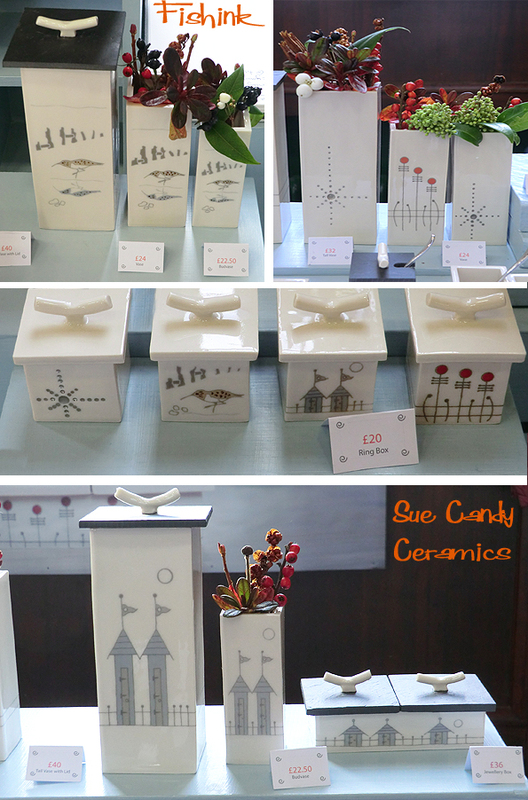 Cool and calm ceramics from Sue Candy. Her well chosen flowers from the garden, set off her angular pots perfectly. 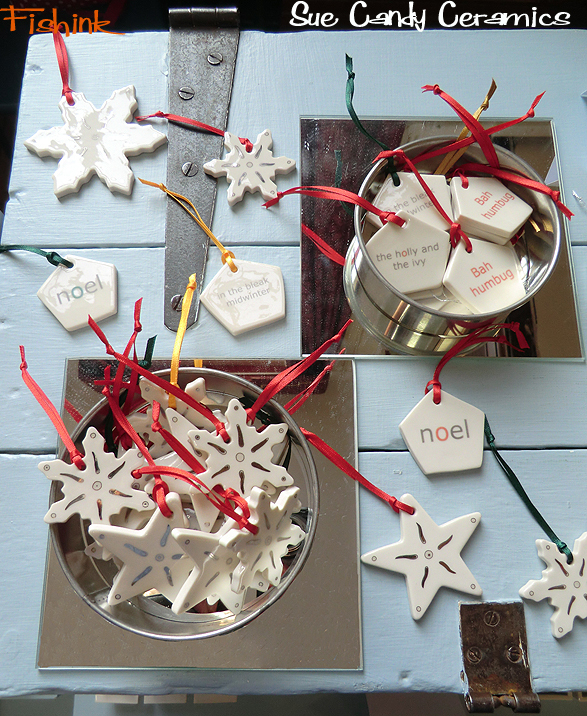 Sue also was showing a lovely array of ceramic pieces for the tree. 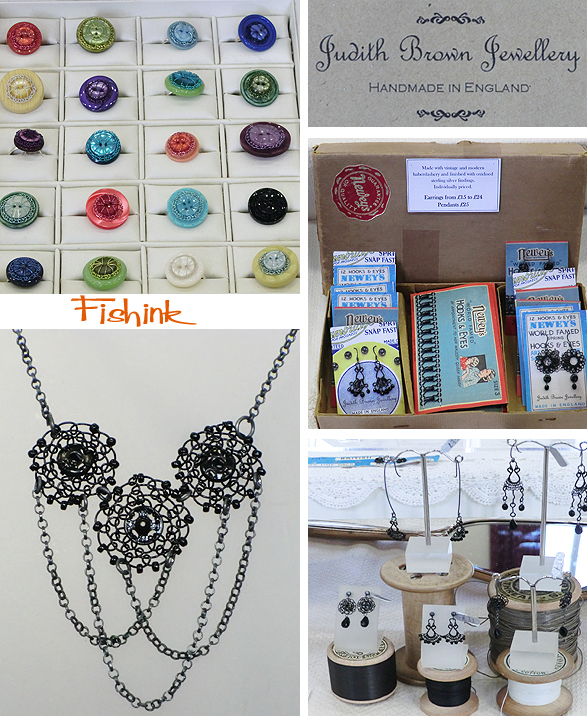 There was antique inspired jewellery from Judith Brown made from hooks and eyes. 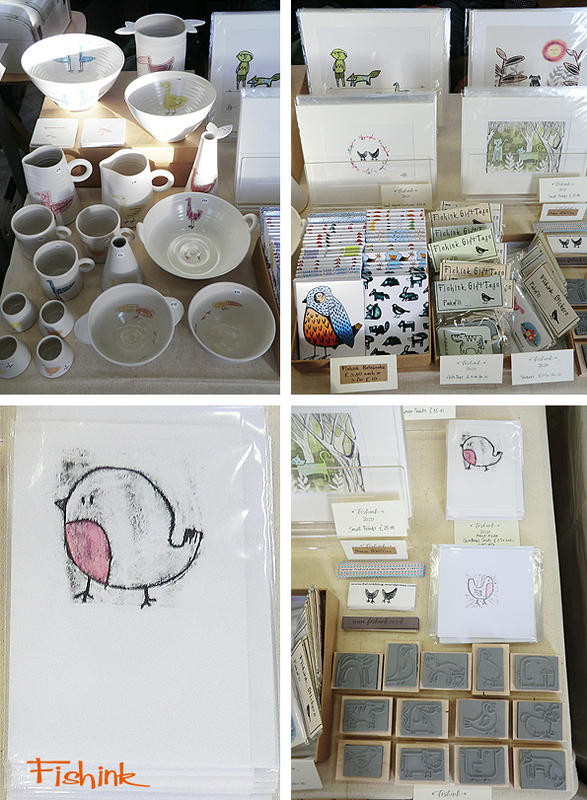 Also jewellery from Heather Fox working as Silver Kitsune, some beautiful etchings by Lorraine Tolmie and other familiar faces like ceramist Sarah Malone, Embroidery & Print artist Dionne Swift, Pewter artist Ella McIntosh and Susan Kane, Illustrator at Fir and Wren, to name but a few. More info about everyone who took part here. 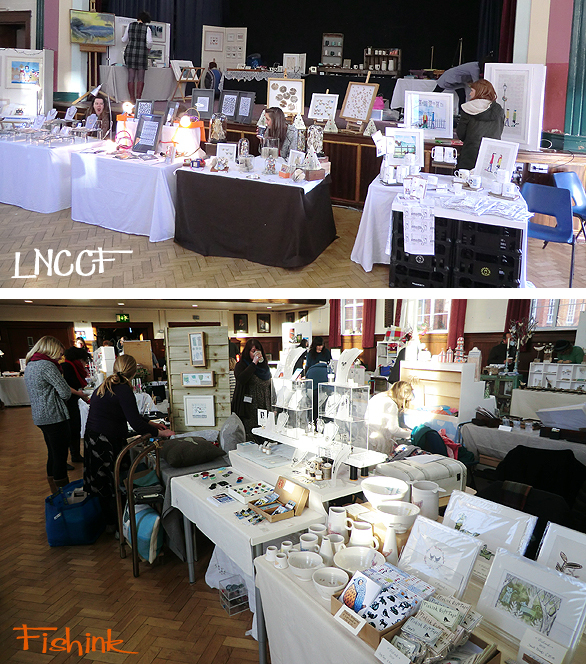 Here’s a couple of images from the hall on the day as we were setting up. 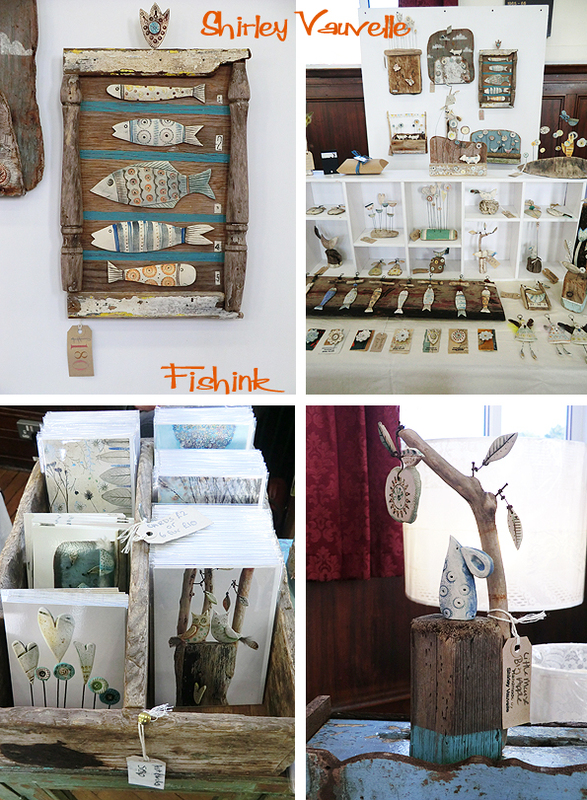 This was my Fishink stand, showing for the first time my Collages, ceramics and stationery all together. The little animal stamps, went down a storm ! If you’d like to order anything I can still send it to any UK address before Christmas. Drop me a line craig@fishink.co.uk . Hope you enjoyed the post. Many thanks to Ann-Marie and Angela for organising such a great event. 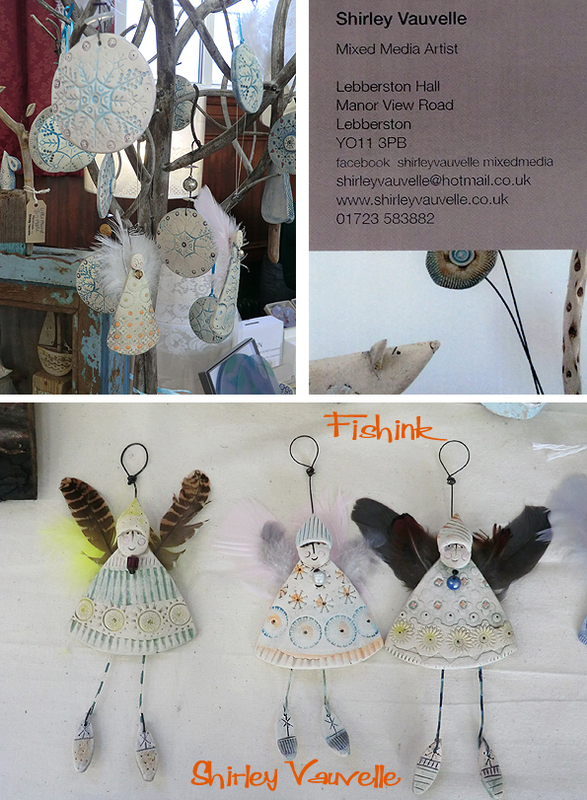 Fab review, we love all of your choices of makers & artists, we recently had Liliane Taylor at our event, her work is beautiful ;-).. we laughed because she made her display stand especially to attend our day…glad to see its being put to good use! Thanks for your comment Mandy. I agree about Liliane, I had a quick chat with her, what a lovely lady with a fun zest for life. Glad you liked my selection of makers too. 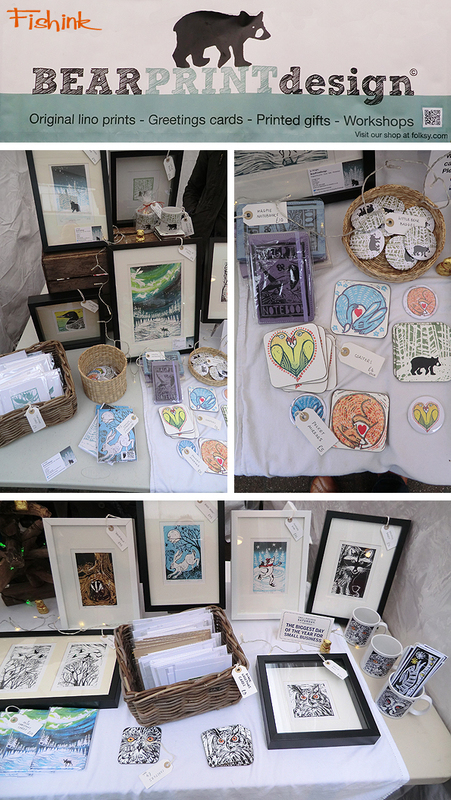 It was great to meet you at the Chorlton Art Market on Saturday. 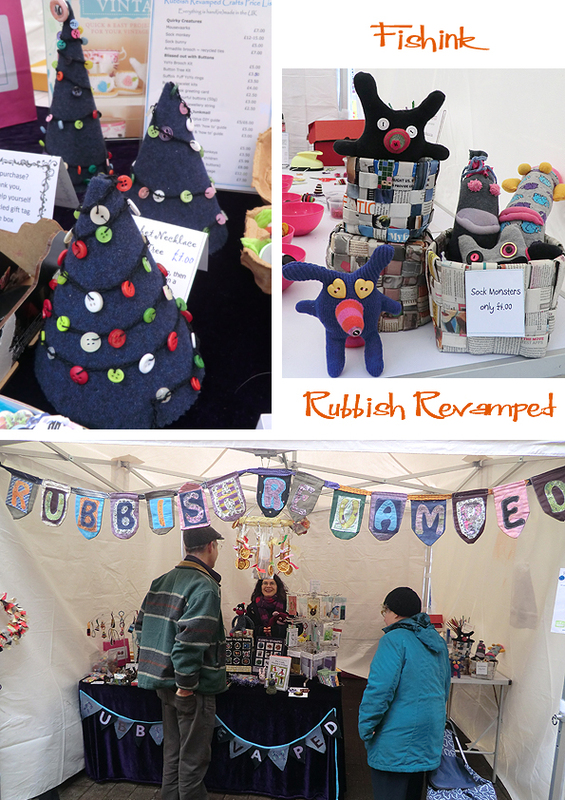 Thank you for taking and posting such nice photos of the Rubbish Revamped stall. I hope you had a great day at the Great Northern on Sunday. I love your designs and overall the crafts you’ve photographed are stunning. I think I would have spent a fair amount had I been there! Danielle hi there, thanks for your return comments, so glad you like the post and my blog/ work too. You’re right, the Great Northern craft fair is a hard place to wander around if on a tight budget, there are far too many lovely things to buy. Hope your work is selling well and you have a well earned and festive break too.